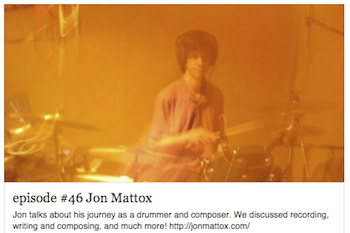 Behind The Kit is great podcast talking with professional drummers about their journeys in music. I was thrilled to be a guest, and we discussed lots of topics related to drumming, composing, recording, technology, and the business of music. Visit the Behind The Kit Podcast site for more interviews and conversations with musicians who happen to be called drummers.